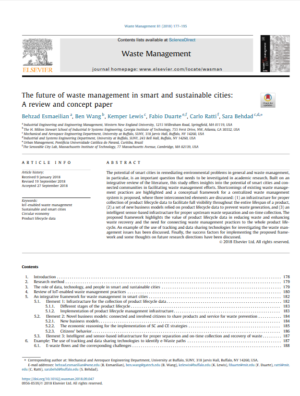 More than 220 papers are reviewed to provide insights about waste management in smart cities. The current status of IoT-enabled waste management practices is reviewed. A conceptual framework is offered for monitoring of product lifecycle data. The need to connect waste management to the whole product lifecycle is discussed. The importance of new business models on improving waste recovery is highlighted. 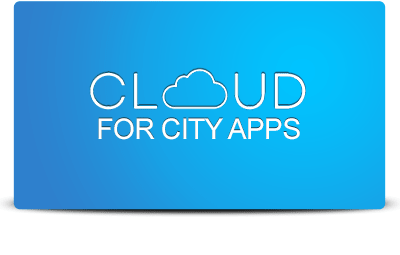 The potential of smart cities in remediating environmental problems in general and waste management, in particular, is an important question that needs to be investigated in academic research. Built on an integrative review of the literature, this study offers insights into the potential of smart cities and connected communities in facilitating waste management efforts. an intelligent sensor-based infrastructure for proper upstream waste separation and on-time collection. The elements of the proposed framework for waste management in smart and connected communities. The proposed framework highlights the value of product life cycle data in reducing waste and enhancing waste recovery and the need for connecting waste management practices to the whole product life-cycle. An example of the use of tracking and data sharing technologies for investigating the waste management issues has been discussed. Finally, the success factors for implementing the proposed framework and some thoughts on future research directions have been discussed.